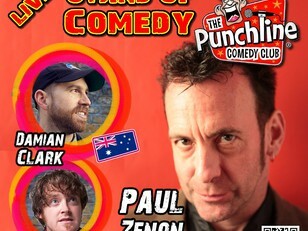 Paul Zenon is Britain's leading magician - and funny with it. He has performed in around thirty countries in every conceivable location, from the London Palladium to the jungles of Belize, from the Mirage Hotel in Las Vegas to an aircraft carrier in the Adriatic, and from the Comedy Store to the back of a truck in a Bosnian war zone. He has literally hundreds of television appearances to his name including three top-rating hour-long one-man specials on Channel 4. Paul is probably the UK's busiest stand-up corporate entertainer, performing after-dinner entertainment, link-presenting and hosting awards ceremonies at events worldwide. Having performed worldwide at the Montreal, Australian and Edinburgh Comedy Festivals and becoming a regular fixture on the Kilkenny Cat Laughs Calendar, Andrew Stanley is one of the top comics working the Worldwide Comedy Circuit today. Whether it's performing as Resident MC in numerous clubs around Ireland, one of which is the legendary Comedy Cellar in Dublin, or as a quality act in his own right Andrew is always high energy and quick witted enough to keep audiences thoroughly entertained. 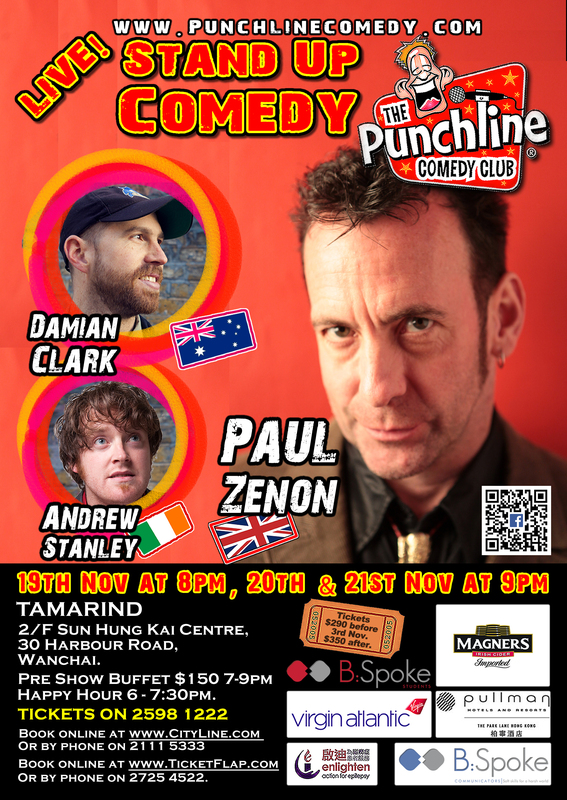 Aussie boy Damian Clark burst into the UK comedy circuit in 2012 where his high-octane observational stand-up has certainly caused some waves. Clark’s infectious energy and childlike outlook has had audiences in hysterics from the get-go and was snapped up immediately to appear on BBC3 & Comedy Central. Before touching down in the UK, Damian made Ireland his home and became regular features in RTE's IFTA Award-winning REPUBLIC OF TELLY, comedy panelist in TV3’s THE APPRENTICE: YOU’RE FIRED! plus wrote & co-starred in I DARE YA! Ya (‘Critics’ Choice’ - The Irish Times, ‘A Smash Hit’ - The Sunday Mirror) which became the highest rating Irish comedy debut to date.